Breeze is as simple or as complex as you need it to be. But how simple is simple? We think you’ll learn all you need to know to be able to get started in 15 minutes or less by following the steps below. On first time login to Breeze you find yourself on the Projects page. 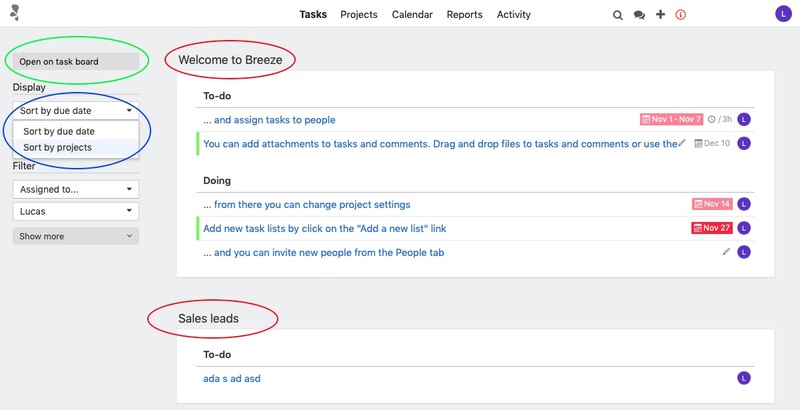 All new users automatically get the Welcome to Breeze example project. It shows you how Breeze works and the basic features. You can start reading the project from left to right, top to bottom. Every task in the project describes a feature or action. The main menu lets you navigate between the main pages. The key statistics of the project are summarised. At the bottom is a list of all the other projects to which you have access. 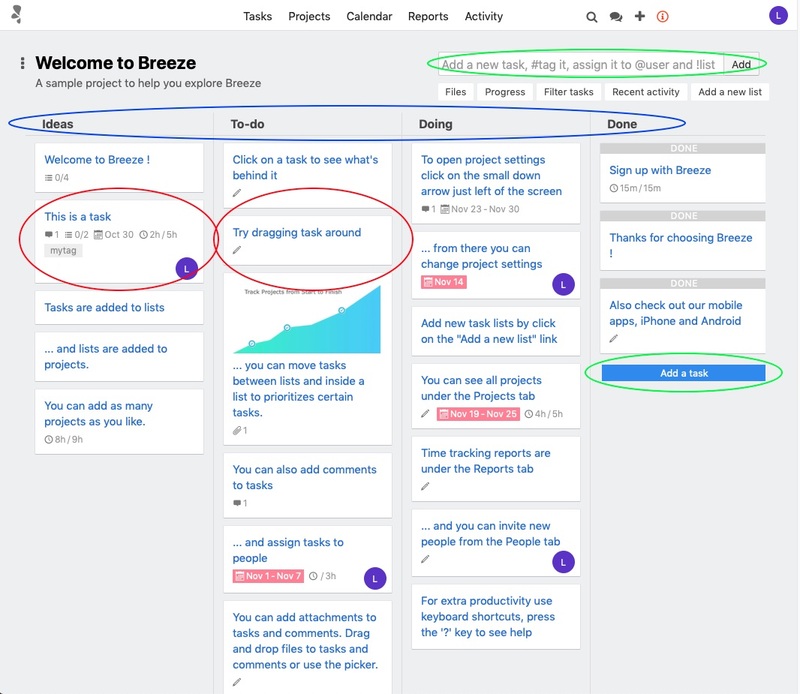 Clicking the Welcome to Breeze project summary opens the Project Board. The project is layed out as a board. It has task lists and task lists have tasks. It's like a simple blackboard with sticky notes. Each list item is a Task and is displayed as a card. Add tasks to the Ideas list on the left of the board. Simply drag and drop to the next list to move tasks through the workflow. Drag a task up and down a list to prioritize it. You add tasks by entering a name in the field at the top, or by clicking the floating button at the bottom of the list. Take a moment to review the Tasks that are set up - they illustrate the important functionality that Tasks provide. 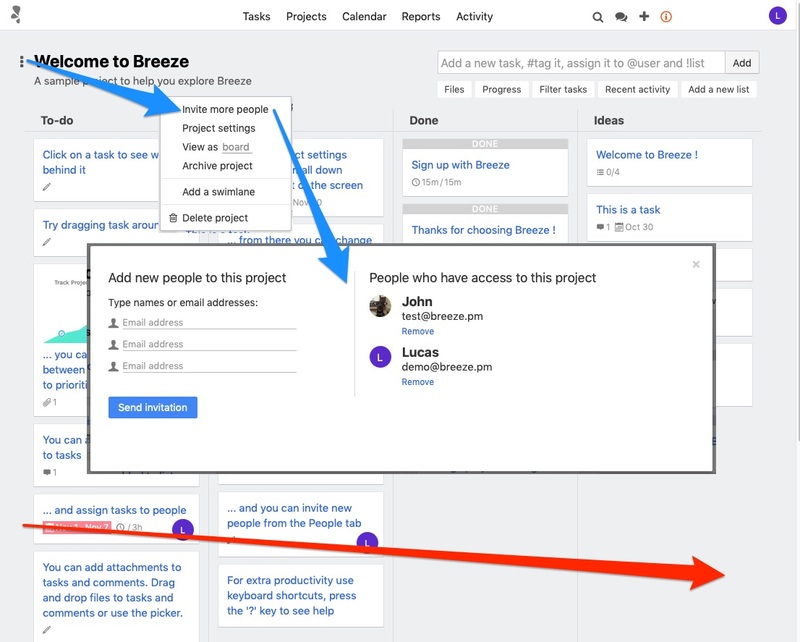 From the point of getting started with the basics, there are a couple of other things worth pointing out on the project board page. Firstly, note the three dot icon to the left of the project name. Clicking this gives you a submenu where you can Invite more people to join the project team. Simply Send invitation to tell them about the project and provide access. Secondly, try dragging the lists about. Notice how we dragged the Ideas list to the right? When you’re working with more complex lists you’ll find flexible Breeze features like this really help make life easier! Clicking on a Task opens the task window. On the left are some attributes of tasks. These let you enrich your tasks with more information. 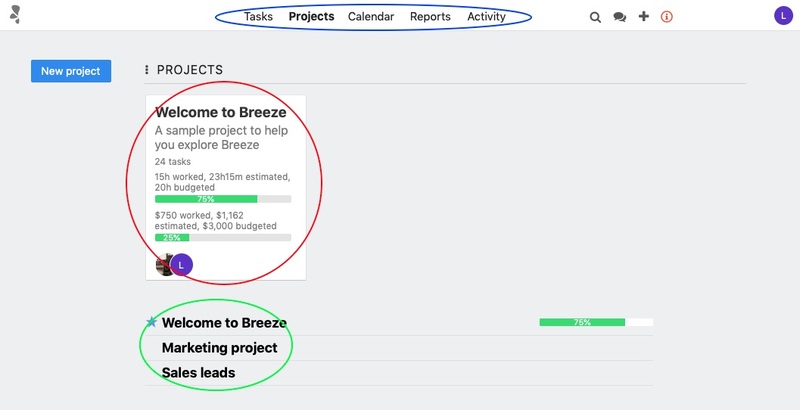 This lets you manage projects better by being able to report in greater detail and understand what’s going on. 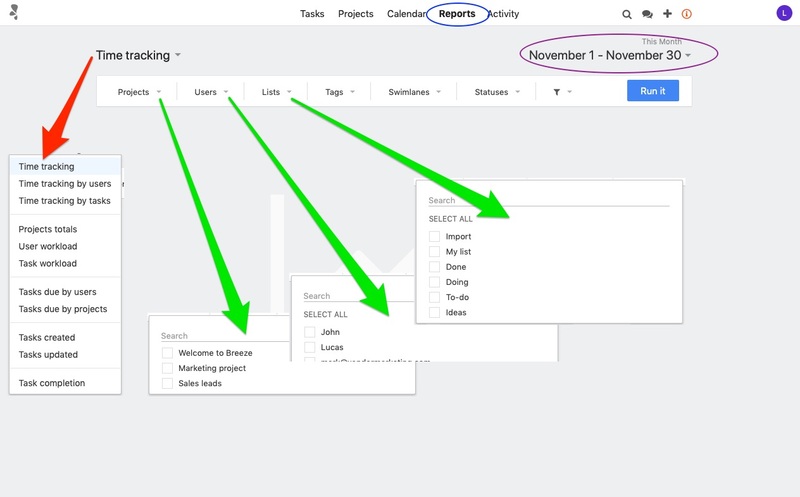 Here we show some of the main things you can add to make your task information richer. Mark - lets you indicate the status of the task. 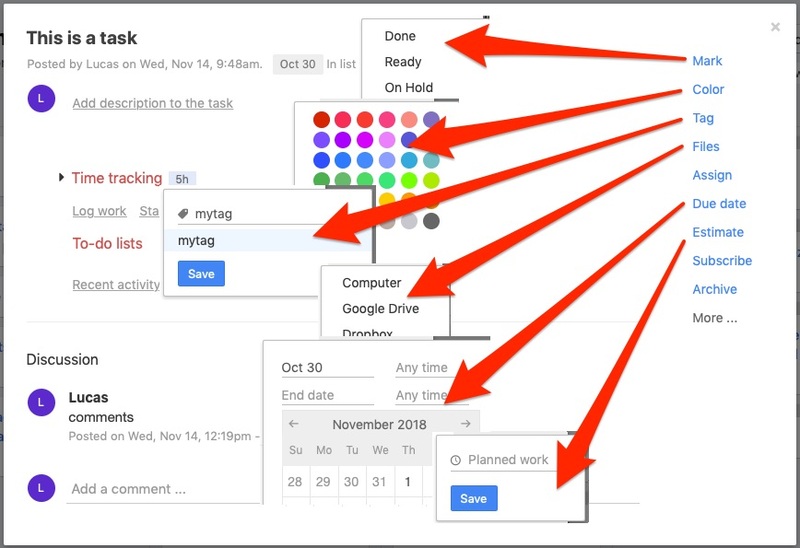 Color - lets you make the task standout or group with others on the Task Board. Tag - lets you assign it an existing tag or create a new one by simply typing it. Files - lets you attach files to the task. Assign - lets you click to give the task to one of your team. Due date - lets you set a time for completion. Estimate - lets you type in time estimates to start working with budgets. You can find all your tasks on the Tasks page. 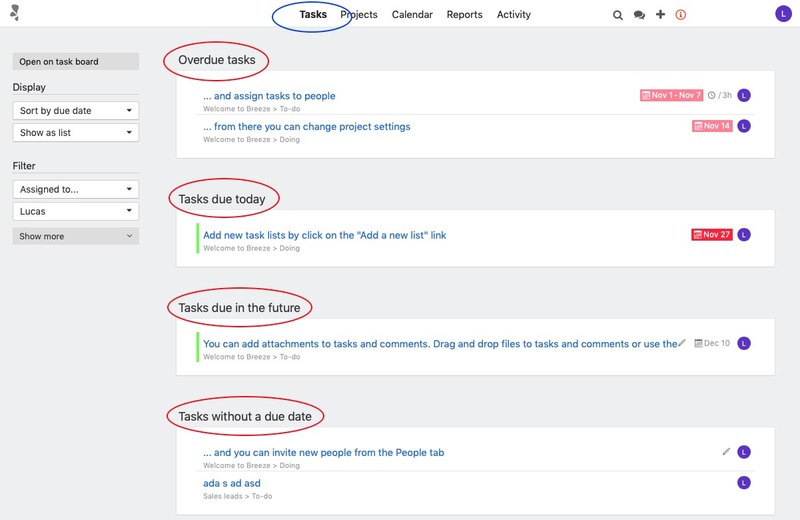 The pages gives you an overview of tasks assigned to you. Clicking on the Tasks main menu item gives you the screen above. When you are logged in, you see all the tasks assigned to you grouped by due date. You can see what’s late, what you need to complete today, the pipeline of future tasks and tasks without any due date. 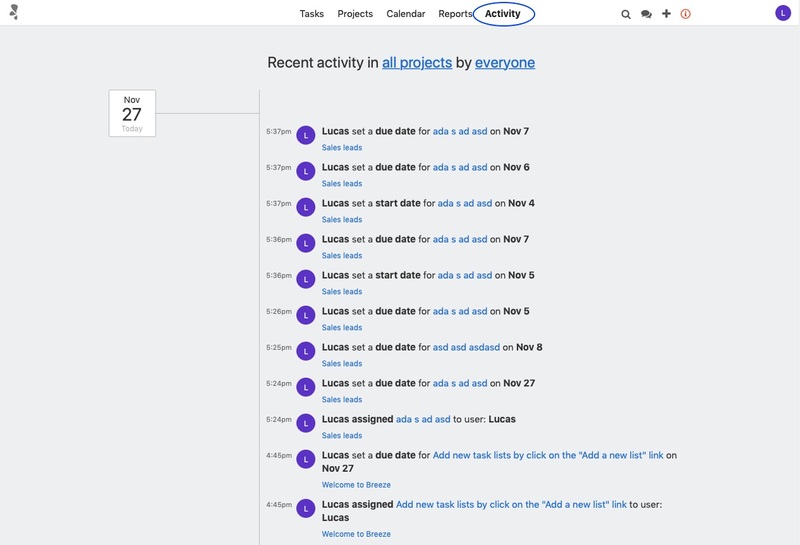 You can also view your tasks grouped by project. Simply click the dropdown menu and change the view to Sort by projects. 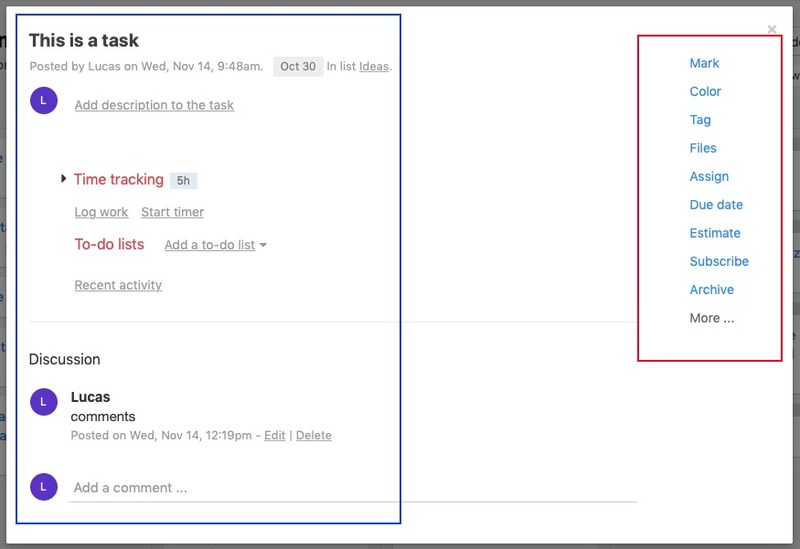 This changes the task grouping so you can see what you need to do project, by project. Finally, the last thing to point out here is the Open on task board button. 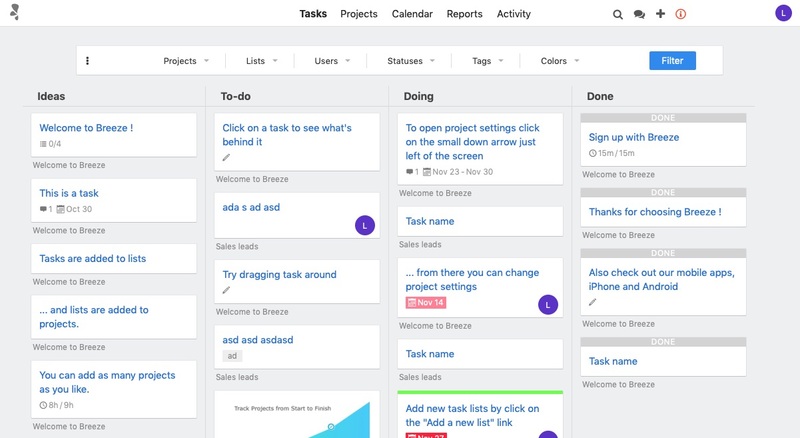 This gives you access to the master task board to see all tasks across each project. You can find all your project calendars on the Calendar page. Click Calendar on the main menu to see the calendar view of your projects. You can switch which projects you want to see on and off to simplify the view. Clicking on a task opens the Task window which lets you revise start and end dates. You can also do this by dragging the Task bars on the calendar. Like a standard calendar you find almost everywhere else, you can change the view from month, to week or day. Clicking the calendar Schedule tab gives you an itemised day by day view of tasks. 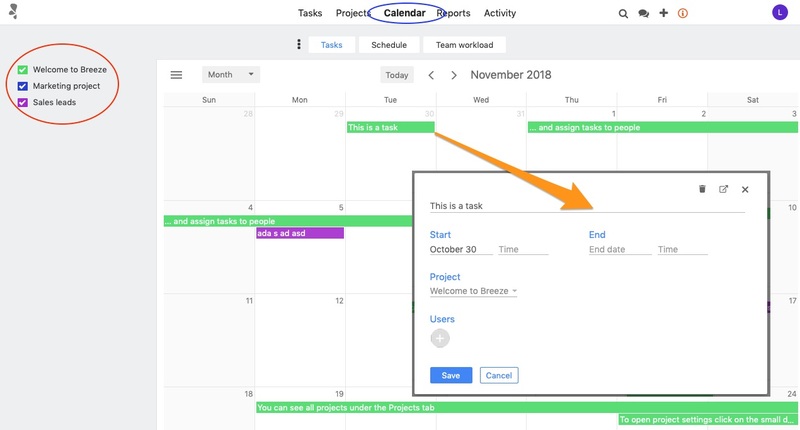 Clicking the calendar Team Workload tab shows you how tasks are distributed and if someone has too much or too little work. You can find all the reports under the Reports tab. Clicking Reports on the main menu takes you to the page for running Reports on your projects. Select the date range that you want to report by clicking on the pop-up calendar. Click on the Time tracking drop-down to select different report type. You can run reports on tasks, time tracking, estimates, task completion, due tasks. You can find the full list of report types in the help. Use the drop-down menus to set the filters for Projects, Users, Lists, and so on. Hit the Run it button to get your report. The last page on the main menu is the Activity page. Click Activity on the main menu to see all the activity of team members, and time spent minute by minute on your projects. You can open the tasks and projects by clicking on the links on the activity entry. That’s about it for the basics you need to know to get going with Breeze. On the right of the main menu is the Information icon. Clicking the Information icon gives links to help, support and more. Our Help and guides pages are straightforward and concise. Should you need more help you can Contact support from here too.